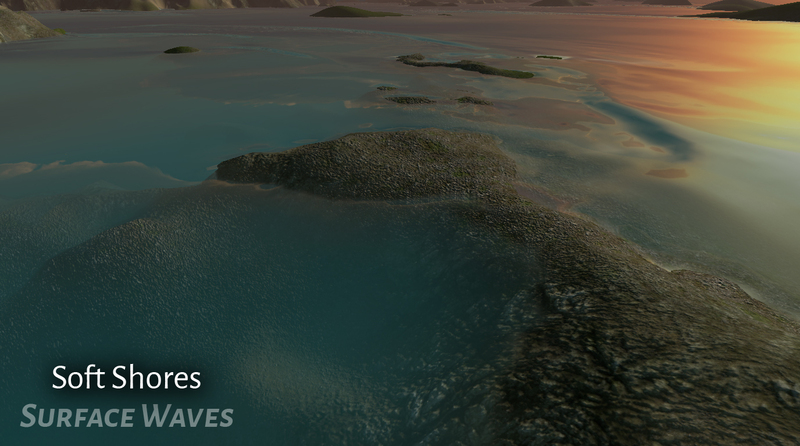 Adding rivers to your game can be tricky when your scene has a lot of variation in height. 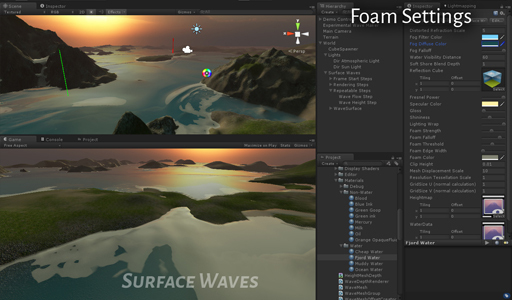 And static water can feel a bit lifeless when you try to play with it. That's why I've made Surface Waves, a toolset for Unity3D that creates dynamic rivers, lakes and oceans by making waves interact with underlying terrain, GPU accelerated. 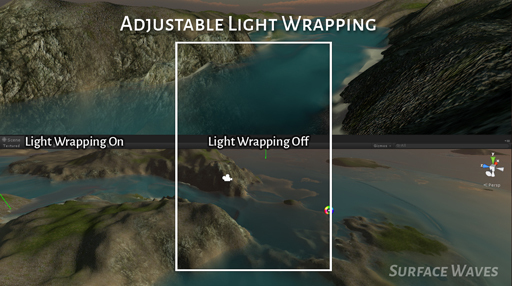 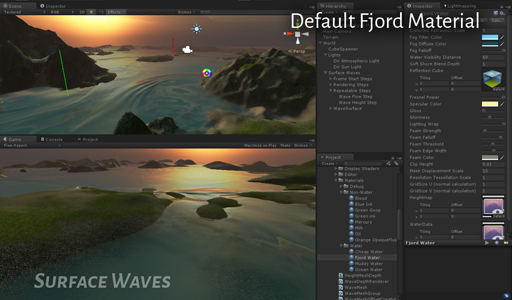 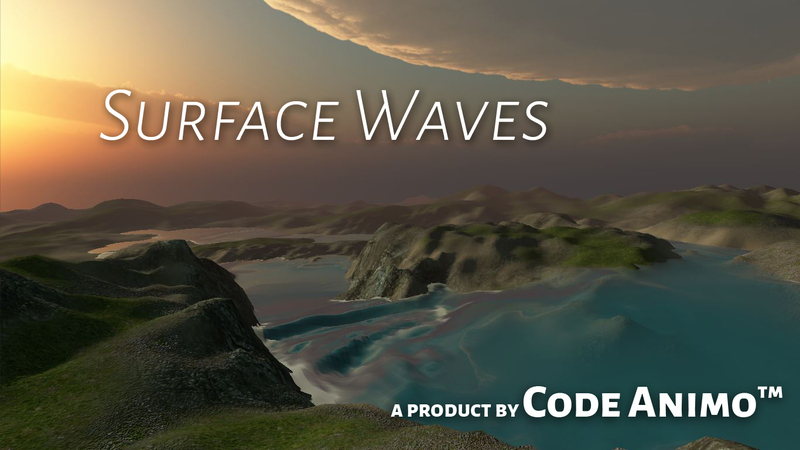 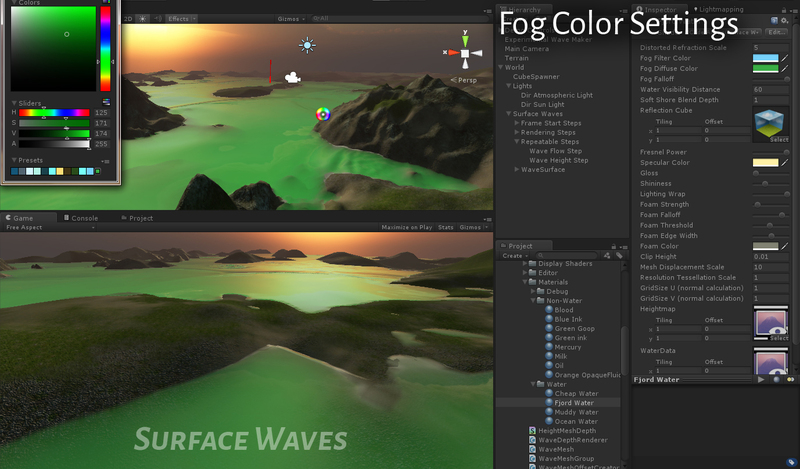 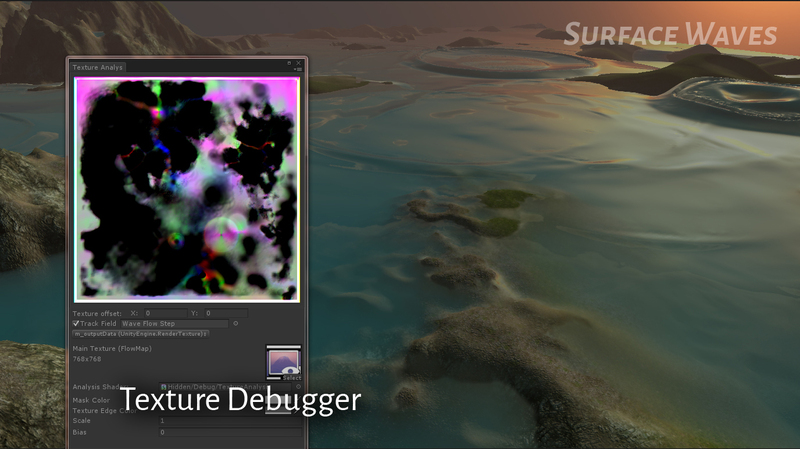 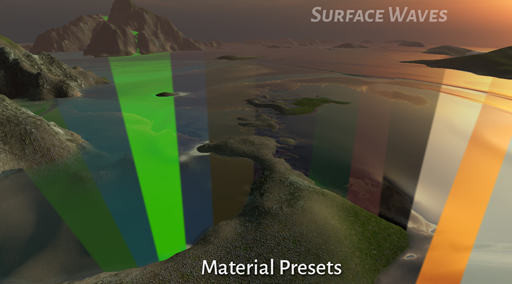 Surface Waves is now available from the Unity Asset Store.